Phenacite occurs in nature as white to colorless hexagonal prismatic crystals with rhombohedral faces. Much harder than quartz, it is a rare gemstone found in Brazil, Russia and Burma. 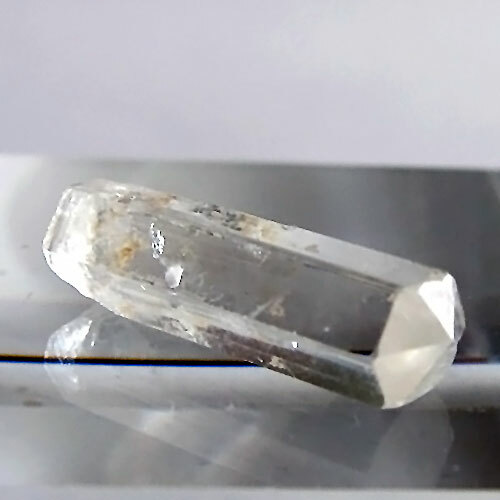 The difficult to find transparent crystals are sometimes faceted for use as gemstones. Although these crystals are basically colorless they exhibit a golden glow -- light emanates from within them. Read more about Phenacite in the Crystalpedia. This beautiful, extremely rare gemston pendant imparts the unique energy signature of the High Himalayas. Jane and I feel a taste of that "peace that passeth understanding" when meditating with this Blue Obsidian.